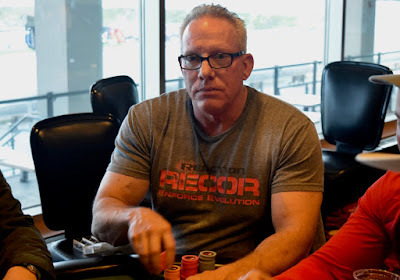 Brian Patterson's day comes to an end in 12th place ($6,292) in the HPT Pittsburgh Main Event. Just a few hands earlier it was Jason Paff departing in 13th place with a $4,735 cash. The next elimination reduces the field to one 10-handed table, one additional bustout before the Monday noon-start, livestreamed final table is et.